I just made this for about 10 bucks with 1 1/4 P.V.C. , And a cloths hanger. Getting the proper bends in the clothes hanger was the only difficult part, but with a bit of professional finaglism it came together fairly easily. Time to test it out! Very nice Fletch...........go get them. That should work very well. Cool idea and thanks for sharing. I've paid more than that more than once for "professional" auto-fishermen. All of them were a pain. This looks really good; solid and simple. I'm going to blatantly copy it, but I think I'll put a small flag on the rod tip, can't think of any other way to improve it. Good job. I like simple and smart. 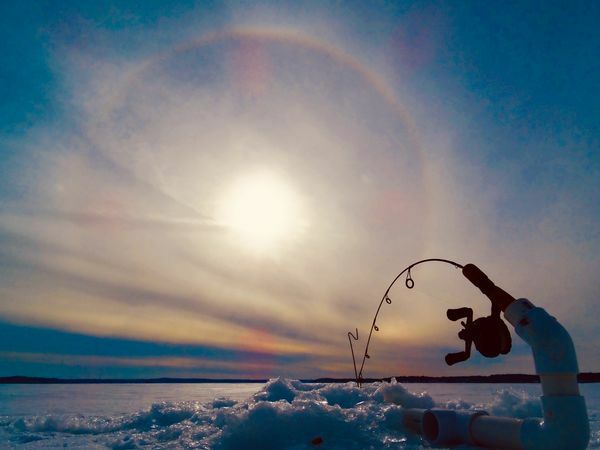 Looks great, hope you get a chance to put it to use and come back here with a pic of your catch. Good luck!!! They work!! I built these things specially for cats, so to get one in this particular situation is truly awesome. 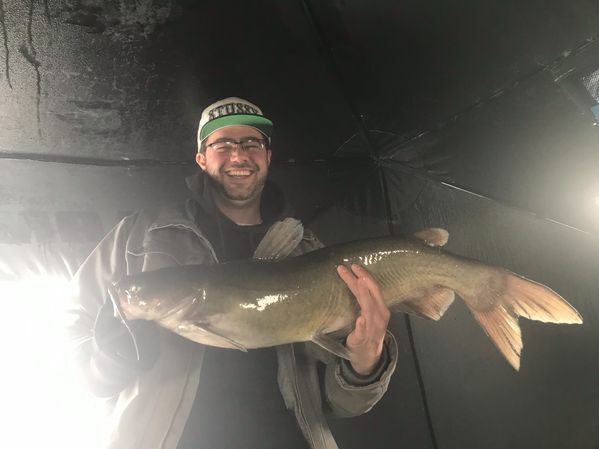 This was the biggest fish my buddy ever caught, so that was a big bonus. Thanks for all the kind words folks! I made 3 of these up this past off season. The key is the trigger mechanism. A short arm and the part where the line goes over the end needs to be higher then the part where the last eyelet attaches. If that makes sense. That way the line does not need to move very far before releasing the rod tip. 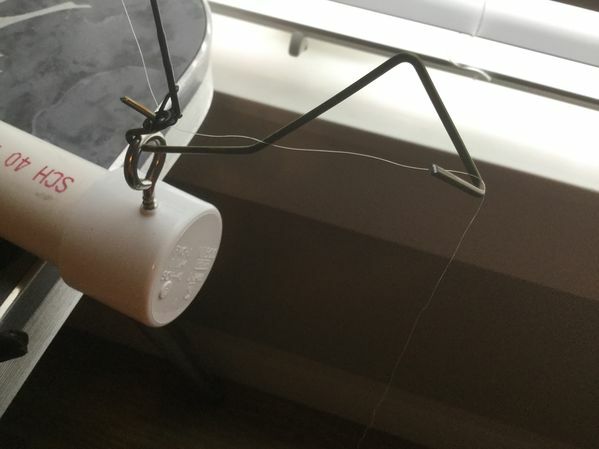 Also, instead of threading a bobber through your line to have some slack, use a paper clip or thin wire to thread the bobber and make a hook on each end. That way you can attach and remove the bobber easily without rethreading the rod. For real light biting fish I've seen some guys just use a strip of caution tape to pull the slack line out, just weighs enough and the fish don't feel it. Made mine with wood and some rod holders lying around my house. Cost $0. 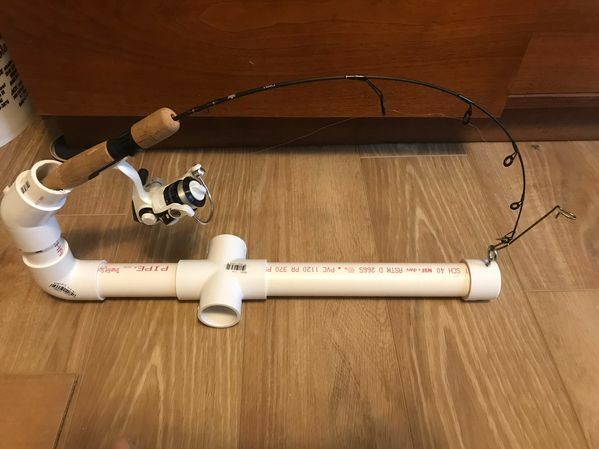 Automatic fishermen and Jawjackers cost $40-$50! 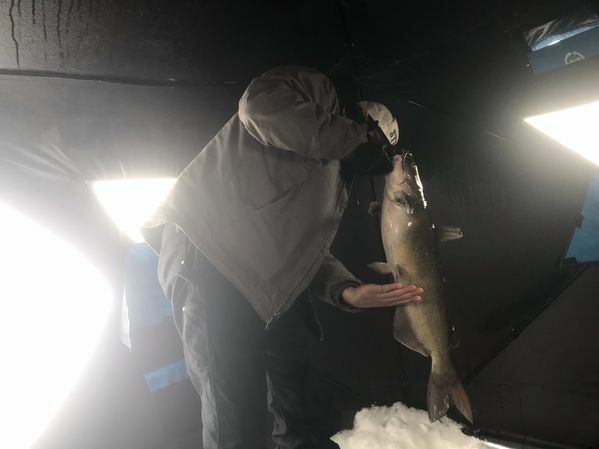 That's a great fish through the ice. Congratulations to the fisherman and "guide"! Chitown-Angler was started on February 10, 2003 and has received 207587473 page views in total since that date.